"Families in Action" host Cary Quashen has been working in the field of behavioral, alcohol and drug treatment for teens since 1978, and is a nationally recognized expert. Cary Quashen has dedicated the past 20 years of his life reaching troubled teens and dysfunctional families with the objectives to pass his personal recovery experiences with drug and alcohol to the youth of today and to provide evaluation, assessments and interventions to parents, school districts and the juvenile justice system. He has become a nationally recognized expert working with adolescents. Since 1978, Cary has been working in the field of behavioral, alcohol and drug treatment for teens. He developed and operated the successful AVALON treatment programs. Cary has acted as a consultant to several behavioral health programs including Loma Linda Hospital, Anacapa Hospital, Van Nuys Hospital, and Ingleside Hospital and Focus Healthcare program in Ohio . In 1989, Cary founded ACTION: A Parent and Teen Support Program. A nonprofit organization, ACTION has assisted countless families in Southern California as well as the whole . Former President George Bush, Governor Pete Wilson, former Senator Alan Cranston, former Mayor Tom Bradley, and city council members and countless school districts have acknowledged the ACTION program. 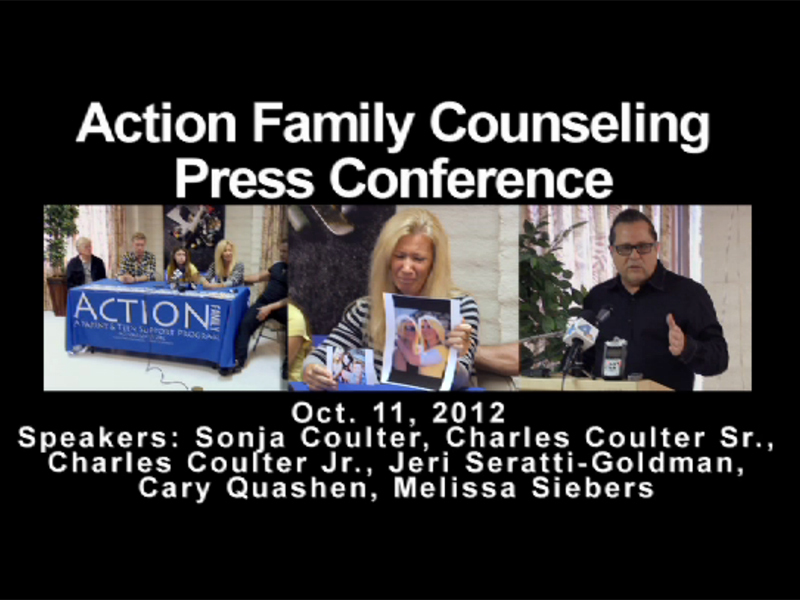 ACTION has been featured in several public interest articles in the Los Angeles Times and many other local newspapers. Cary has made many guest appearances as a family and crisis intervention specialist on talk shows such as: Good Morning America, the Leeza Gibbons Show, Talk or Walk, The Carol & Marilyn Show, Queen Lattifah, Dr. Joy Brown, Rolanda, Maureen O'Boyle, The Ricki Lake Show, The Beatrice Berry Show, To The Point, The Marilyn Kagen Show, Extra, Judge Judy, Men Are From Mars, Women Are From Venus, The Mark Wahlberg Show, The Naomi Judd Show and The Governors Townhall Meeting. He has also been featured on many local news broadcasts and numerous documentaries. Cary has also been featured on many radio stations and has spoken at school events and health fairs focusing on topics such as: gang violence, drug culture, teen pregnancy, adolescent self-esteem issues, and self-help family support groups.